The BuzMuzik channel closed overnight. Hardly anyone could see its final transmission, as prior to its closure, it had been removed from both the Sky and Freesat programmes guides yesterday afternoon. The channel invited viewers to interact using facebook, twitter and text messaging, with a selection of messages posted alongside the music video being played. BuzMuzik boasted thousands of fans on Facebook and Twitter, before both accounts were deleted. 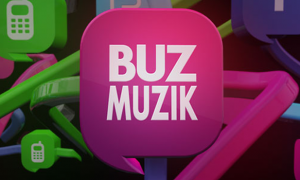 BuzMuzik launched under two years ago on the 30th May 2012. It's demise follows the purchase of music channel Starz by BuzMuzik's owners CSC Media, which on Sky channel 371 offers viewers a similar opportunity to interact with messages alongside the latest music videos. CSC Media is meanwhile reportedly re-launching a timeshift version of True Entertainment. According to TV ratings website overnights.tv, True Entertainment+1 was originally due to be BARB reported from 1st April. True Entertainment+1 was last seen on satellite ahead of the launch of True Drama on Sky.